Psssst, know a question you can ask yourself that can really get your sales going? It’s this: Who’s your ideal buyer? Simply put, the more detail you can pinpoint about your fantasy customer, the easier it will be to hone your approach. Think of creating buyer personas as something like inventing a best friend for your brand: your dream client! A perfect match. ? Is your ideal customer middle-aged and established in her career, or is she younger, maybe a student? What are her personal habits? Does she spend money on frivolity, weekends soaked in champers ? and mani-pedis??? Or is she perhaps just a little more conservative ? ?‍?and careful? How much do you know about your buyer’s persona? And how can that knowledge possibly make a difference to your business? If you didn’t know your BFF’s birthday or Starbucks drink of choice, you might endure some hurt feelings. Here? Same-same, but different. The fact is that the more you know about your potential buyer, the more direct and intimate you can make your marketing efforts, resulting in a better relationship with your clientele … which will ultimately improve your bottom line/sales. Buyer personas (also known as marketing personas) are models you create of your ideal customer. The buyer persona you create will help you identify who your buyer is, as well as what she wants, why she wants what she wants, and the lengths she’ll go to get it. If you have a clear idea of how your customer thinks, you’ll better understand what drives her buying decisions. This is crucial to creating a winning marketing plan, an appealing product, and relatable content. And the really good news? It’s easy to create a buyer persona. With the right research, you’ll have plenty of data to create a persona that you’ll recognize like an old friend. And you’ll instinctively know what makes them laugh, cry and buy! Creating Buyer Personas – Why Should You Do It? But before we get started on the how of creation, let us really drive home the why of a well-defined buyer persona, and of the “high five”-worthy difference it will make on your marketing efforts. If you really want to know your customer, you really need to know her needs and wants. (It’s that “best friend”-thing.) Knowing your customer at that level is key to creating content, products, and services that delight her and keep her coming back for more. If you know your buyer persona, you’ll better understand why they choose to buy. This will help you to target your marketing efforts and improve the length of your sales cycle. 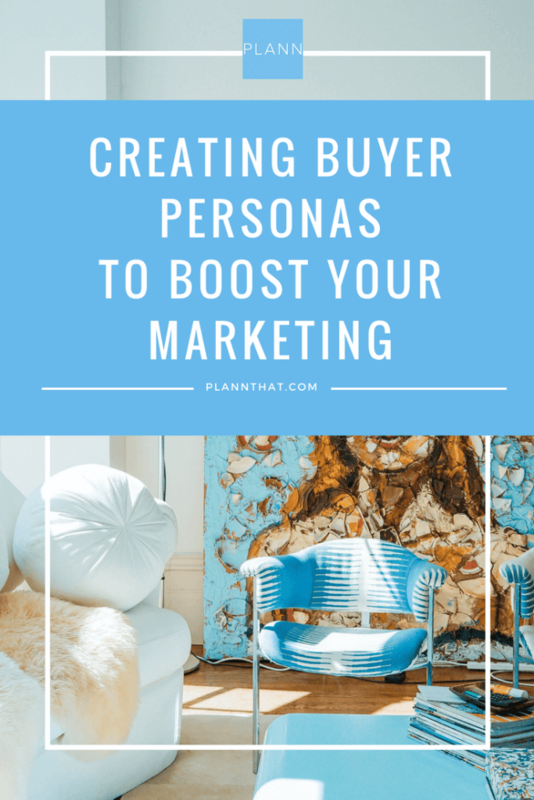 When you create buyer personas, you can then market in a targeted way. This allows you to personalize your message. This more focused approach helps boosts conversions right away. Gotta love that! So what information could a buyer persona include? We recommend you start easy. (Later, you may wish to add different personas for different aspects of your business.) You’ll need to ask the right questions. Once you’ve decided what those are, you’ll need to figure out how to get the answers. 1) You can conduct surveys and interviews using services like SurveyMonkey. These folks will even help you with the phrasing of the questions so as to ensure you get the most useful responses from your audience. 2) Dig into your social media analytics. 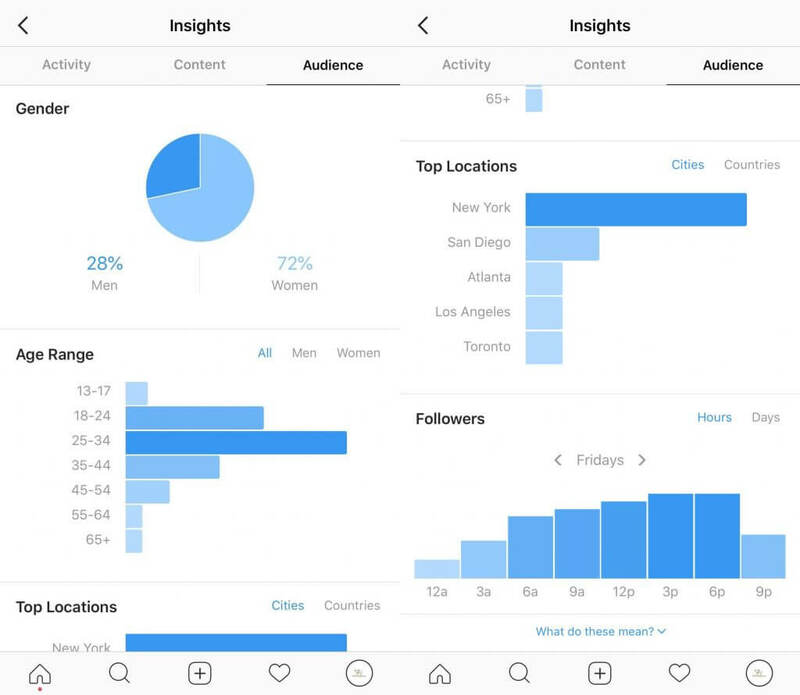 If you have an Instagram Business account, go to your profile and tap the little bar graph icon in the upper-right, then tap Audience. Here you can get all kinds of info on your audience — especially your most engaged fans. From just the example above, it’s clear that this account strikes a chord with young women in New York. 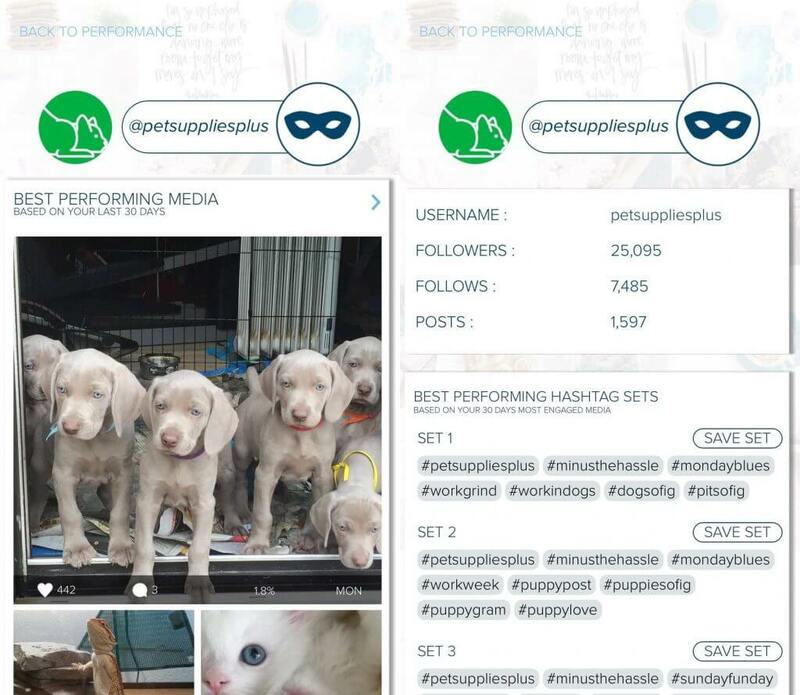 Plann users can get even more useful information with Plann’s advanced Instagram analytics. Just open up Plann and tap Performance. Your top posts show you what content your fans respond most to. 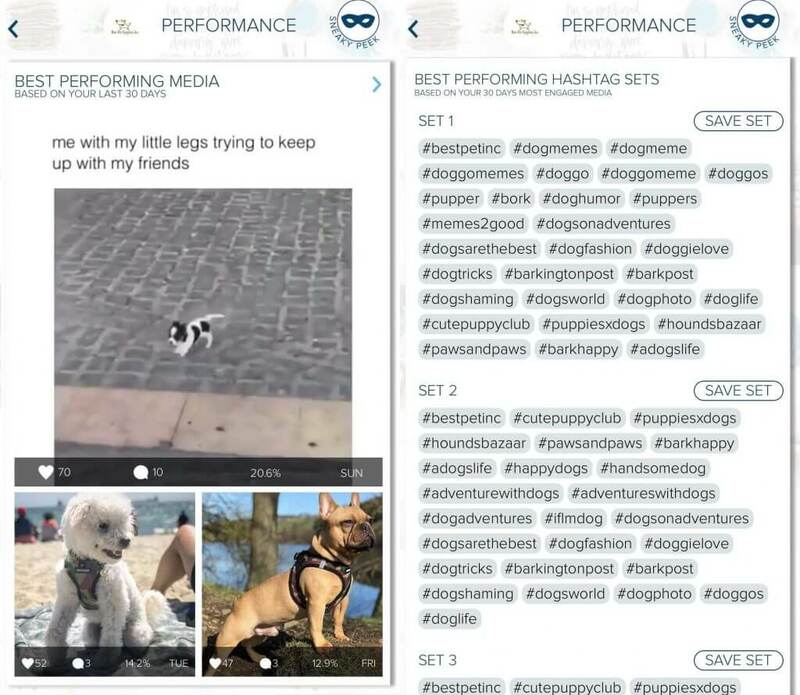 Your top hashtag sets show you how they find you. With those two data points, you can quickly get a clear picture of what your fans are most interested in and searching for. 3) More technically-inclined users can also take a look at Facebook and Google Analytics. Facebook and Google are both notorious for knowing way too much about anyone who even gets near their platforms. 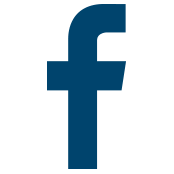 If you don’t have 1000 Facebook Likes, and you have Google Analytics installed on your website, just go here and click the Audience dropdown. You’ll have more tabs to investigate than you know what to do with. For creating a buyer persona, you’ll want to look at Demographics, Interests, and Geo. By employing the data from these, a vision of your customer will begin to form. At this point, you should be able to build a buyer persona template. A template is an organized collection of data making a tangible picture of your ideal buyer. In order to give personality to your marketing campaign, your template should be given a name, something that matches the personality you envision for your perfect customer. Next, you’ll want to know as many details about her as are relevant to your brand. Age, marital status, whether they own or rent, drive or take mass transit, etc. Once you’ve fully developed a buyer persona, you’ll want to begin to fit them into your marketing strategy. Determine how your sales and service teams might use this information to develop specific plans and strategies. Use your new info along with creative planning to target your efforts. Knowing your brand’s “best friend” through and through will strengthen your relationship with your target market. Creating buyer personas comes down to knowing who it is that you’re talking to, empathizing with them and giving them what they want. It’s a responsible, savvy and effective way to increase the return on your marketing investment. And it’s a fun journey learning what makes your clientele stand up and cheer. 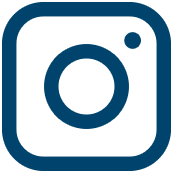 While you’re busy creating buyer personas, Plann can help you manage your Instagram content. Plan, edit and schedule your feed using one awesome tool. Download Plann for iOS and Android here. Christy Laurence is the multi-award-winning founder of Plann, an app she created after watching hugely talented people around the world give up on making an income from their passion due to lack of marketing help.